This presentation was written and produced by Mari. I am very proud of her for her understanding and the courage to ask, what will you do to contribute to society? The link to the video is below the transcript. Please share this video!! 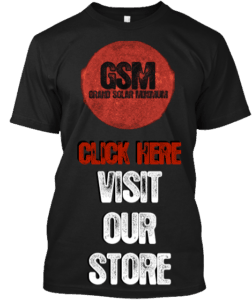 GSM – The Grand Solar Minimum Channel Join in the Discussion gsm.thegrandsolarminimum.com Does this message move you? SHARE SHARE SHARE!! SPREAD THE WORD!!! 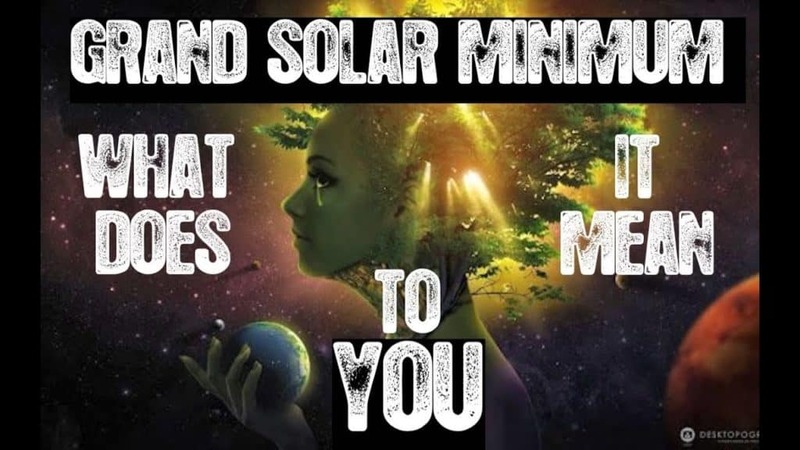 Visit our site at www.thegrandsolarminimum.com What should The Grand Solar Minimum mean to you? https://www.inquisitr.com/4778635/sun… Reduced sunspot activity has been observed and indicates the sun is heading into a 50 year reduced solar activity similar to what happened in the mid-17th century. This cool-down is the result of what scientists call a grand minimum, a periodic event during which the Sun’s magnetism diminishes, sunspots form infrequently, and less ultraviolet radiation makes it to the surface of the planet. Scientists believe that the event is triggered at irregular intervals by random fluctuations related to the Sun’s magnetic field. Scientists have used reconstructions based on geological and historical data to attribute a cold period in Europe in the mid-17th Century to such an event, named the “Maunder Minimum.” Temperatures were low enough to freeze the Thames River on a regular basis and freeze the Baltic Sea to such an extent that a Swedish army was able to invade Denmark in 1658 on foot by marching across the sea ice. The reduced energy from the Sun sets into motion a sequence of events on Earth beginning with a thinning of the stratospheric ozone layer. That thinning, in turn, changes the temperature structure of the stratosphere, which then changes the dynamics of the lower atmosphere, especially wind and weather patterns. The cooling is not uniform. While areas of Europe chilled during the Maunder Minimum, other areas such as Alaska and southern Greenland warmed correspondingly. Articles may say… Despite how much the Maunder Minimum might have affected Earth the last time that an upcoming event would not stop the current trend of planetary warming but might slow it somewhat. They say, The cooling effect of a grand minimum is only a fraction of the warming effect caused by the increasing concentration of carbon dioxide in the atmosphere. Is that really the case? C02 has been higher before. Only Time will tell. We have other factors to consider as well… Galactic Cosmic Rays Volcanism Earthquakes Magnetic Pole Shifts Regardless of what your beliefs may be… The human race is going to face some challenges in the next few decades. Many have grown complacent with daily routine. The masses do not question the teachings to our children from outdated text books. We are molded to conform to into this society driven by a monetary system that holds no true value. The human race, we are all slaves to this system. They use fear to control, to confuse and to breed hate. Where does your fear stem from? Do you question the outside influences around you? The media machine molds our minds, our children’s minds. We are fooled into thinking there is a side we need to choose… Quote from The lie we live. https://www.youtube.com/watch?v=dNVZ0… CHARLIE CHAPLIN THE DICTATOR SPEECH https://www.youtube.com/watch?v=J7GY1… Here’s to the crazy ones. The misfits. The rebels. The troublemakers. The round pegs in the square holes. The ones who see things differently. They’re not fond of rules. And they have no respect for the status quo. You can quote them, disagree with them, glorify or vilify them. About the only thing you can’t do is ignore them. Because they change things. They push the human race forward. While some may see them as the crazy ones, we see genius. Because the people who are crazy enough to think they can change the world, are the ones who do. Be Crazy. GSM. Previous Ready for round 2 ?